This weekend I had the pleasure of riding the Fast and the Fiorini charity ride. Previously known as the Big Pencil to Big Walker, the ride changed its name to honor Ian Fiorini Ian was a fixyure in the local cycling scene and one of the founders of the ride. The ride benefits Wythe HOPE, a nonprofit dedicated to ending poverty in the community. The ride itself was great. Distances ranged from under 10 miles to a metric century with 3 climbs (on different roads) of Big Walker Mountain. I opted for the 45 miler with about 3700 feet of climbing. 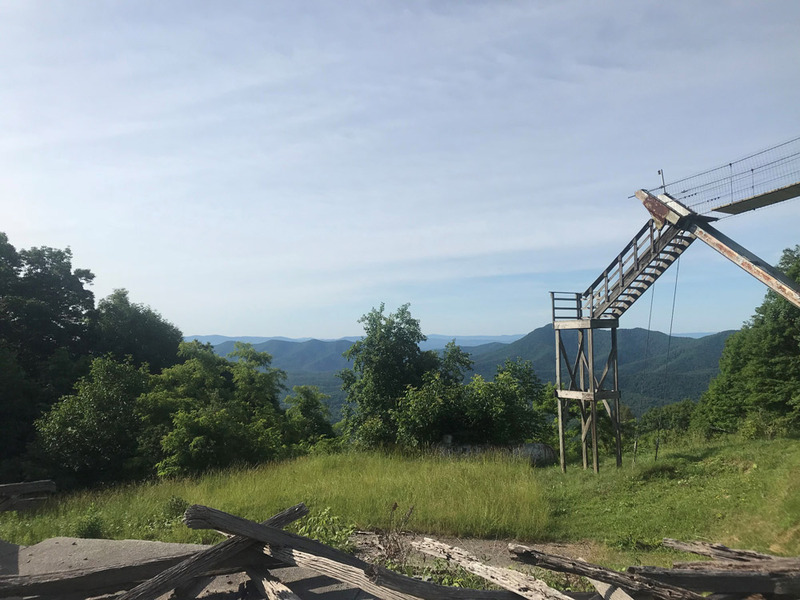 Overall I found the climbs less harsh than the ones here in Roanoke, meaning that this could be a great option for a flatlander to try some mountains without the soul-crushing experience that is found on rides like Mountains of Misery and the Storming of Thunder Ridge. With only about 100 riders and a great set of friendly volunteers you get a much more personal experience than on a big ride. You also get the benefit of knowing that your helping a great cause. I would definitely recommend this ride for anyone in the Virginia/Carolina area. The view from Big Walker Mountain. If you feel like it you can go up to the top of the tower. Not all climbs - the highlight for me were the beautiful valley roads.